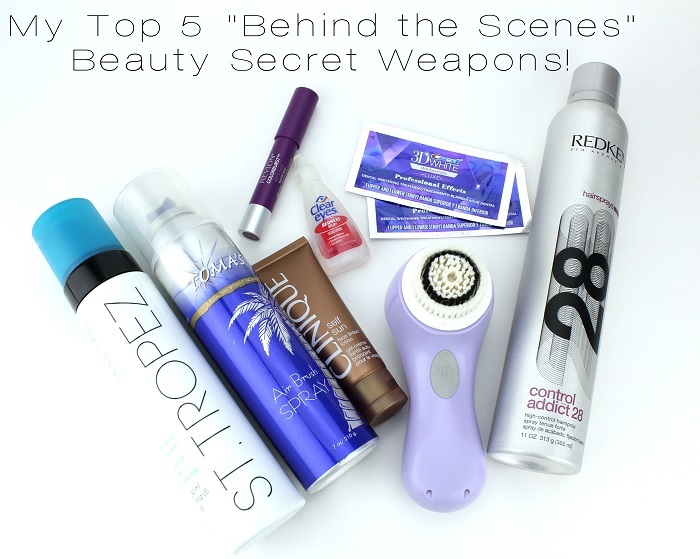 My Top 5 “Behind the Scenes” Beauty Secret Weapons! 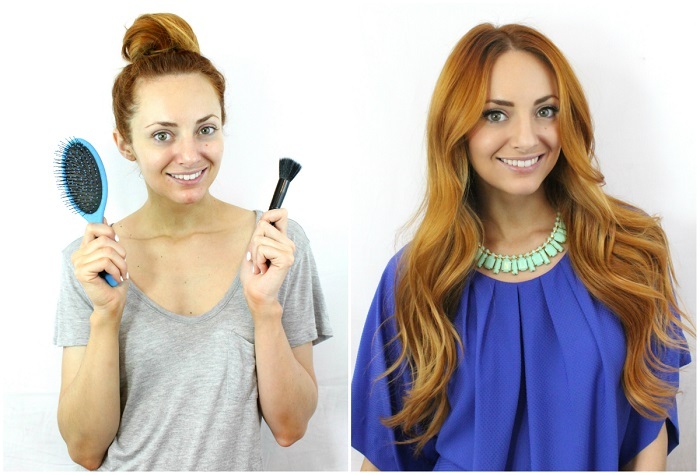 We all have our secret beauty products that make the difference when getting really dolled up. Whether it be for an event, a date, or even just a dinner with friends, there are those times when you really want that “wow” factor. Over the years I’ve carefully curated my secret stash of beauty products that I feel are my secret weapon for nailing my look, and I want to share them with you! I can’t even begin to tell you how essential it is to have beautiful, white teeth. Lipstick pops, your smile seems bigger and brighter, and your makeup will look 10x better. I use my Crest 3D White Luxe Whitestrips to really keep my smile in tip-top shape. Everyone has 30 minutes a day, or every few days to whiten that gorgeous smile! Crest 3D White Luxe Whitestrips Professional Effects stick better than any other whitestrips I have tried. In the past I’ve used some where I can’t move my mouth at all or they just slip right off. Once applied, these are ON. Go about your business at home, or even throw them in your purse and wear them on your commute! So crazy easy and I promise you it is the key to nailing that dazzling smile. Through some very orange and splotchy trial-and-error I’ve discovered what combination of products works best for me when self-tanning. Of course I exfoliate before applying, and make sure to apply lotion to any dry spots. My absolute favorite overall tanner is St. Tropez Self Tan Bronzing Mousse. I apply it neck down with plastic gloves, avoiding my feet and hands. Then I use Toma’s Air Brush Spray to spray the tops of my feet and my hands. Lastly I apply Clinique Self Sun to my face. This routine keeps me from becoming ghostly pale in the winter, and protects my skin from wrinkles and sun spots in the summer because I don’t need sun damage to have a tan! Clear skin is a MUST when nailing your perfect glam look. Makeup can only do so much! In addition to drinking at least 3 liters of water a day, I was my face in the morning and night with DERMAdoctor ‘wrinkle REVENGE® 1’ Cleanser. At night I use baby shampoo to remove my makeup, and then finish with my Clairsonic Mia to really exfoliate and cleanse away any remaining makeup and leave me with baby soft skin. I find it to be extremely effective in making sure my breakouts stay under control! This is my current favorite hairspray. I’ve been using it for months now and I find it gives the perfect “firm” hold to manage curls and flyaways, yet can be brushed out too to give you some added texture. For me, it’s essential to nail that perfect hairstyle. This might seem like an odd one, but I PROMISE you if you start using these you won’t stop. A few drops in each eye before you head out the door and you will look wide awake, and your look will be completely enhanced. It makes a huge difference in photos. Bloodshot eyes can completely bring down a gorgeous face of makeup, but clear white eyes will make those carefully applied eyelashes POP. Join me, @StyleList and @3DWhite on social media on Oscars night Sunday, March 2nd to talk about your #StyleSmile and “behind the scenes” Oscars-worthy beauty secrets! We’ll be chatting on Facebook, Instagram and Twitter. I’m excited to hear about everyone’s beauty secrets when getting glam!